The key thing about Nifty is that the buyers have these incredibly personal and awesome relationships with vintage peddlers and warehouses from all over the country. These guys get the cream of the crop so to speak, and there is always enough out there ready to go somewhere else. These warehouses stockpile clothing that is out of circulation, and the buyers have to dig for the really cool stuff. 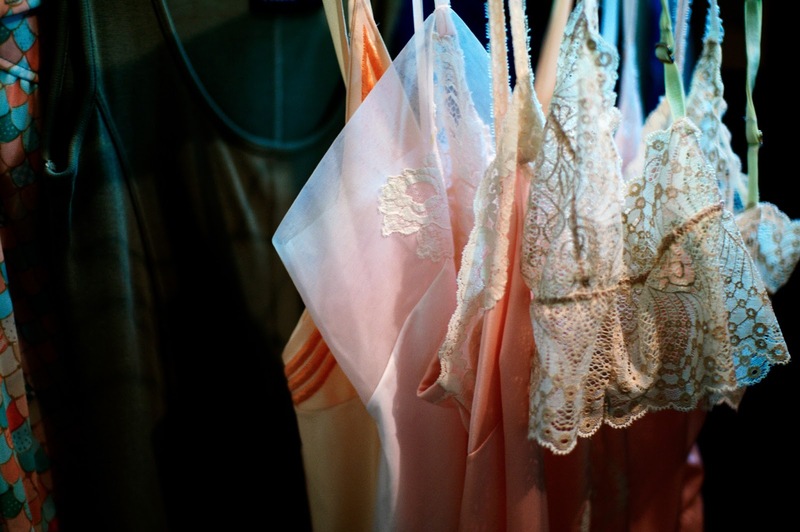 Once they have picked their bounty, each item gets dry cleaned, gets brought back to the Nifty Thrifty warehouse, and from there it is sorted according to a season, gets shot and edited for the site, and then, well, goes up for grabs in these curated flash sales that speak to a time period or a feeling. The space they're in right now is a beautiful old warehouse out in Brooklyn, right off the water, and it feels super lived-in. 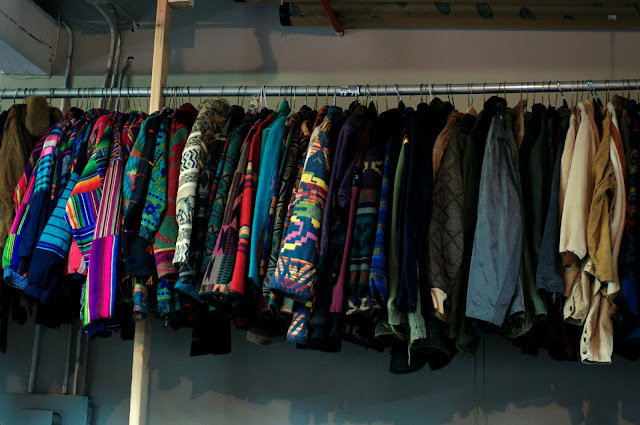 Although it's packed with racks of clothing that are arranged like puzzle pieces, it feels really homey and organized. Lauren, who coordinated my visit, allowed me to romp through the seemingly endless racks of dresses, coats, sweaters, shoes, hats, jeans and more, which was a mind-bogglingly cool experience. The room felt like a collective history of American dress, and each hanger held a piece that once meant something to someone, defining a moment in their lives (or at least I like to think so, maybe someone was just cleaning out their basement to our benefit). I couldn't believe how they had everything I was looking for: a pair of suede Doc Martens, a velvet jumpsuit, a perfect pair of 90's boxy oversized 501's and a simple black silk halter were some of the few things I had been looking to find, and there it all was under one roof. Unbelievable. It was an absolute pleasure to get the inside experience of such a fleeting process, and I hope to find myself lost in there again very, very soon. This is awesome... I need to check them out! This was my first time moving to storage so I had no clue what I need to do, what unit size I need. I walked to this storage place and I observed how the staff on duty was interacting with existing customers and that in start made me feel confident about moving forward with my choice.